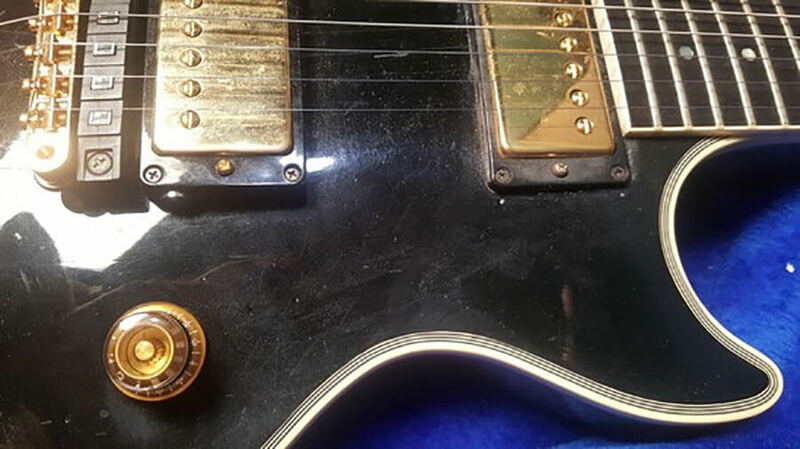 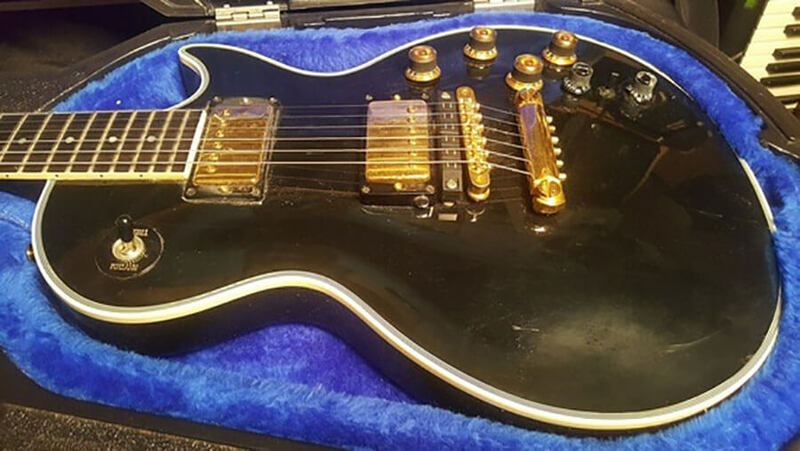 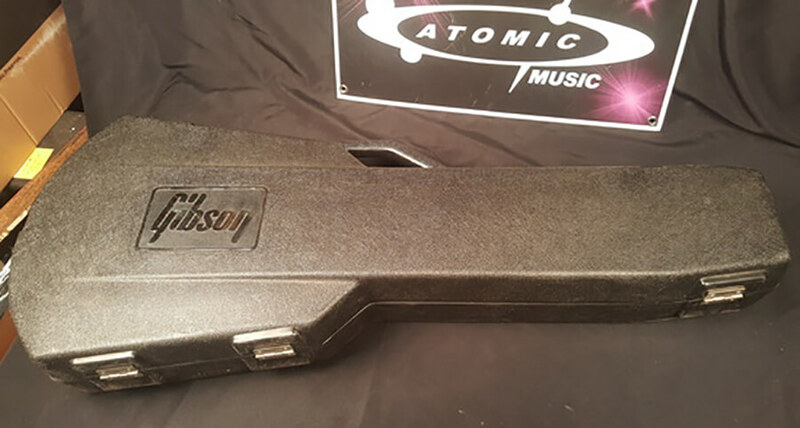 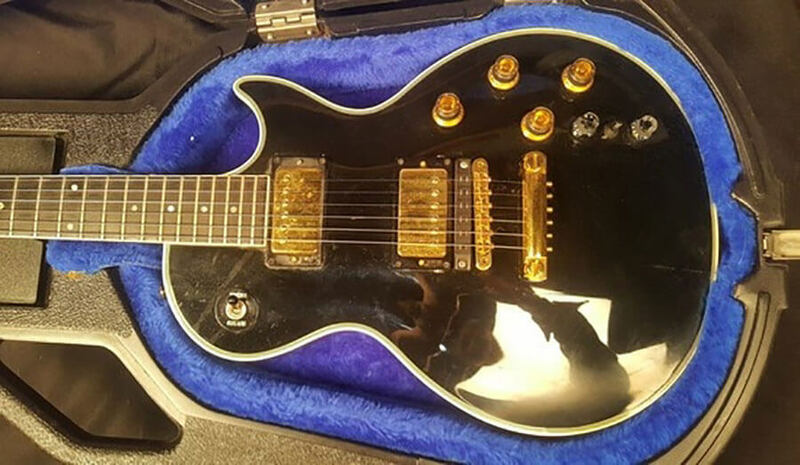 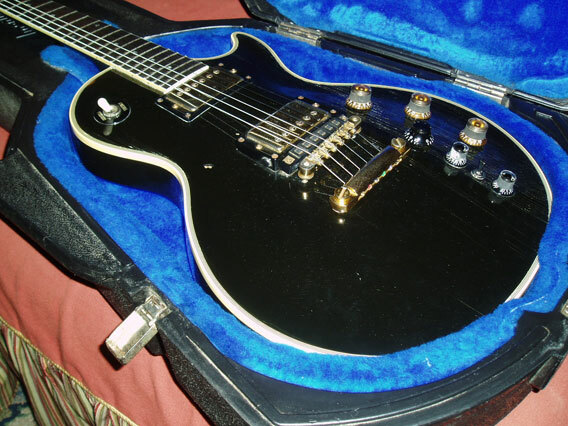 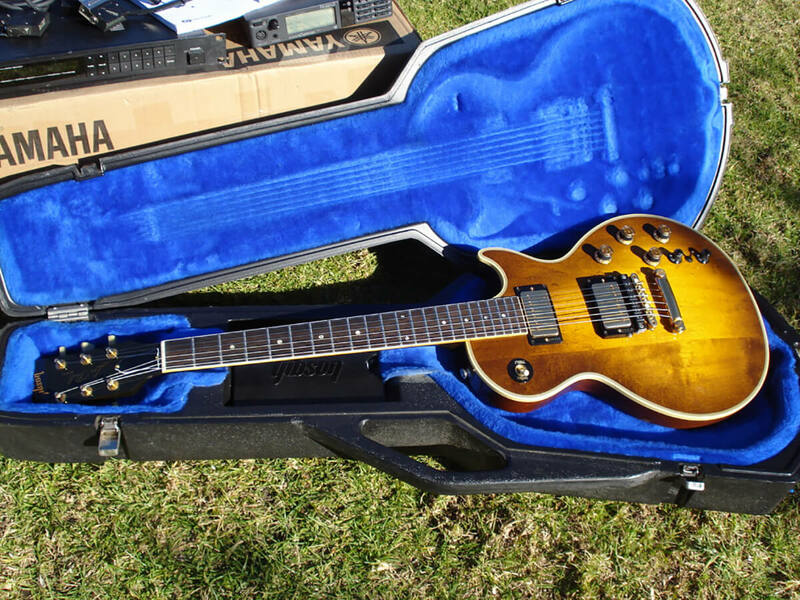 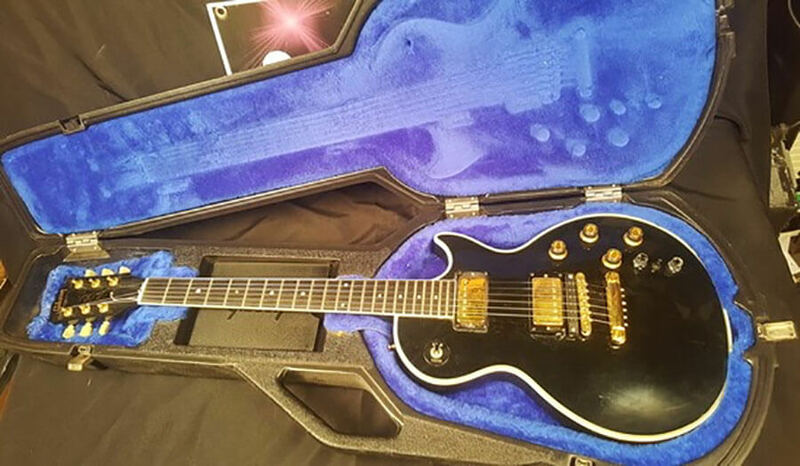 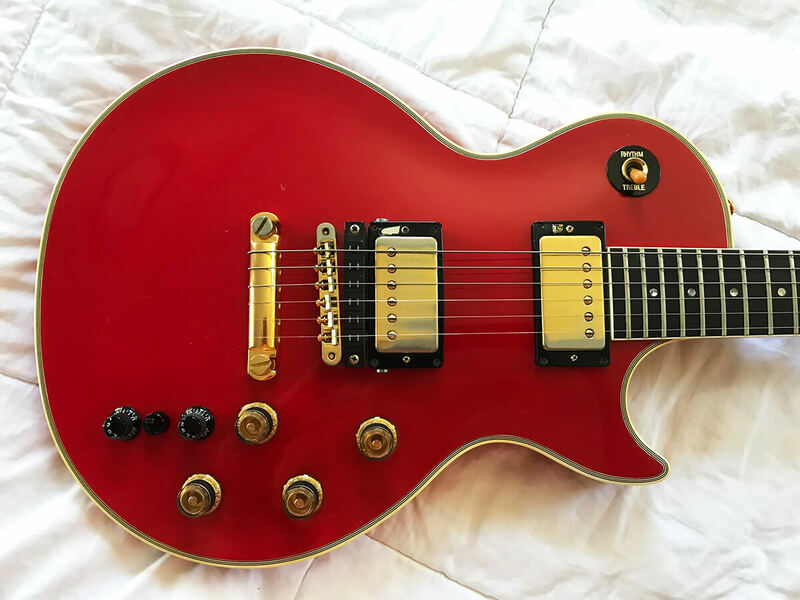 But the classic, eternal, "Cadillac" of the series has got to be the Limited Edition 1985 Gibson Custom Shop Les Paul "Studio Custom" with the Roland LPK-1 Electronics. 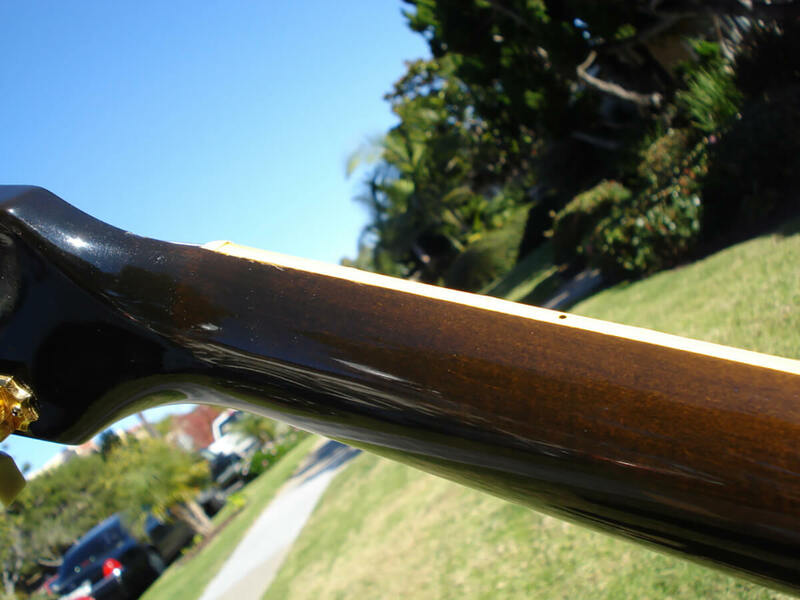 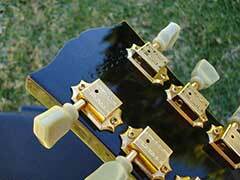 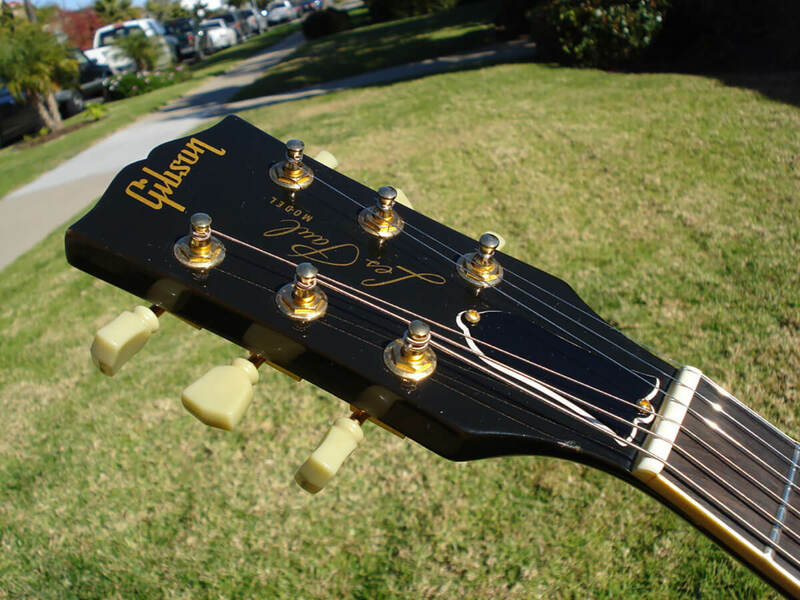 Every guitar was the product of Gibson's acclaimed Custom Shop in Kalamazoo, Michigan. 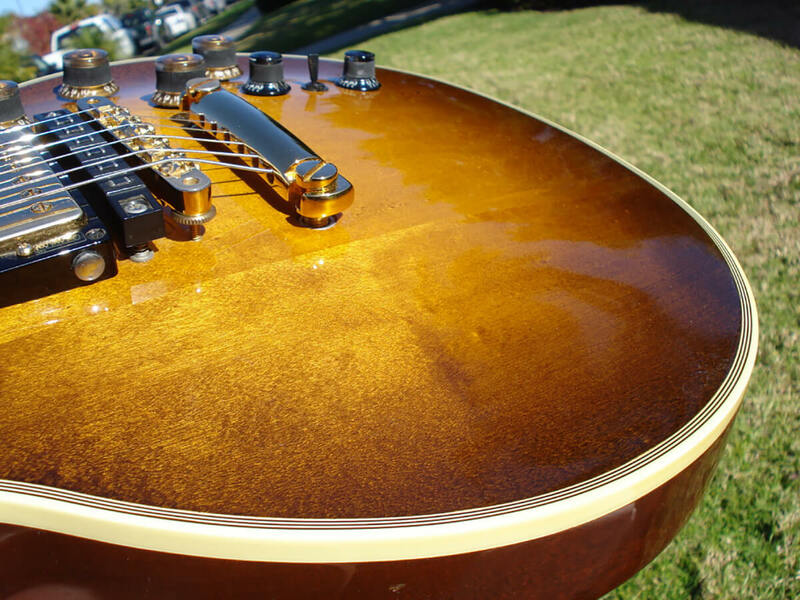 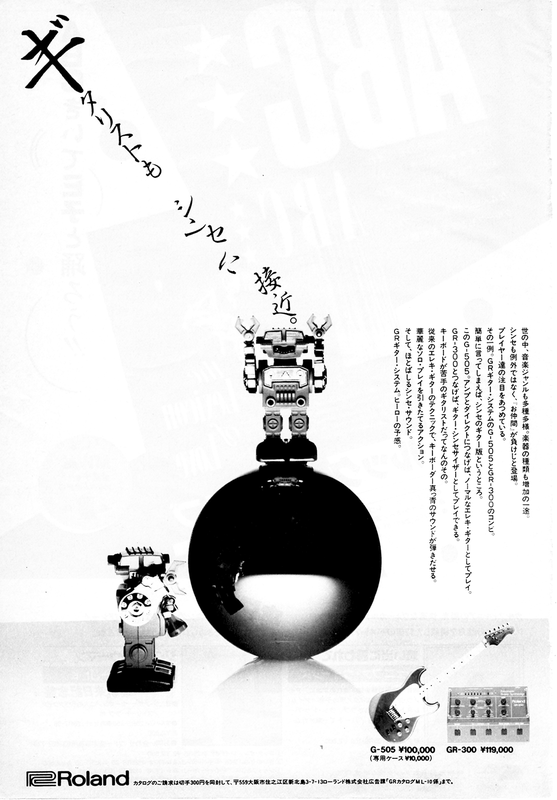 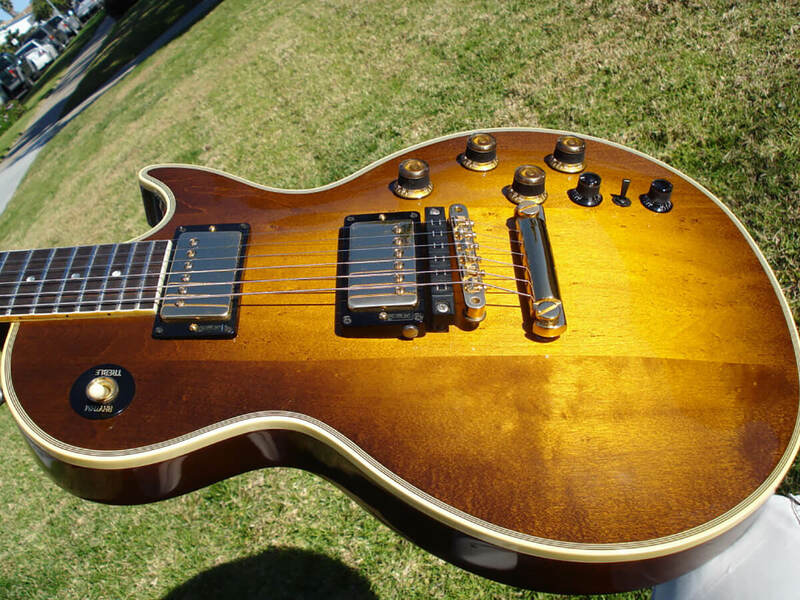 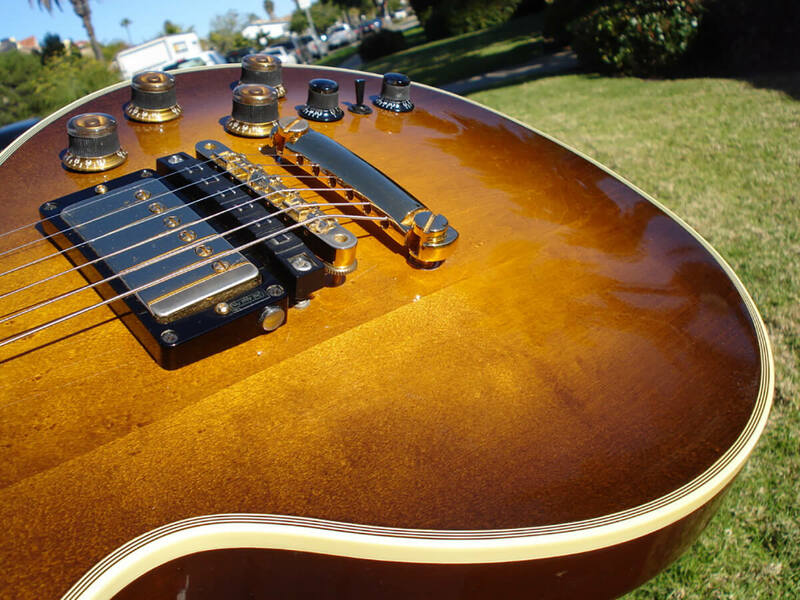 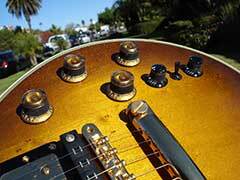 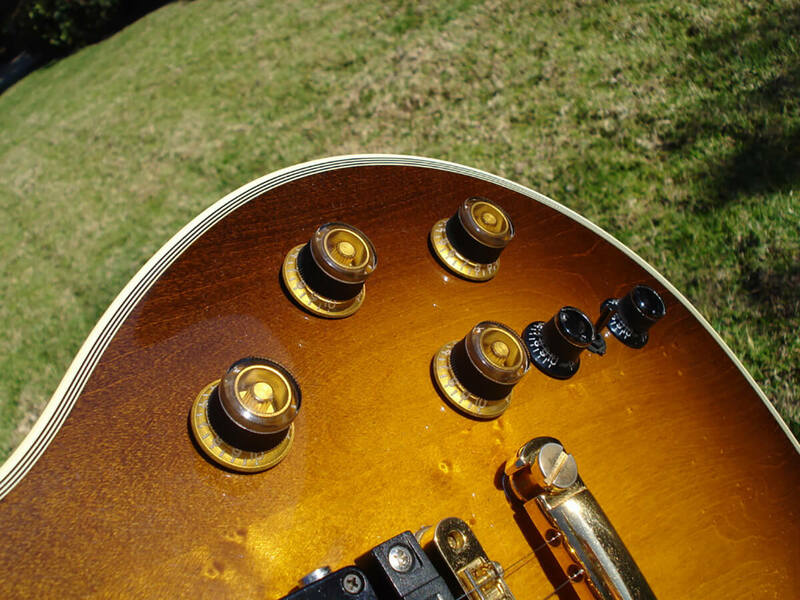 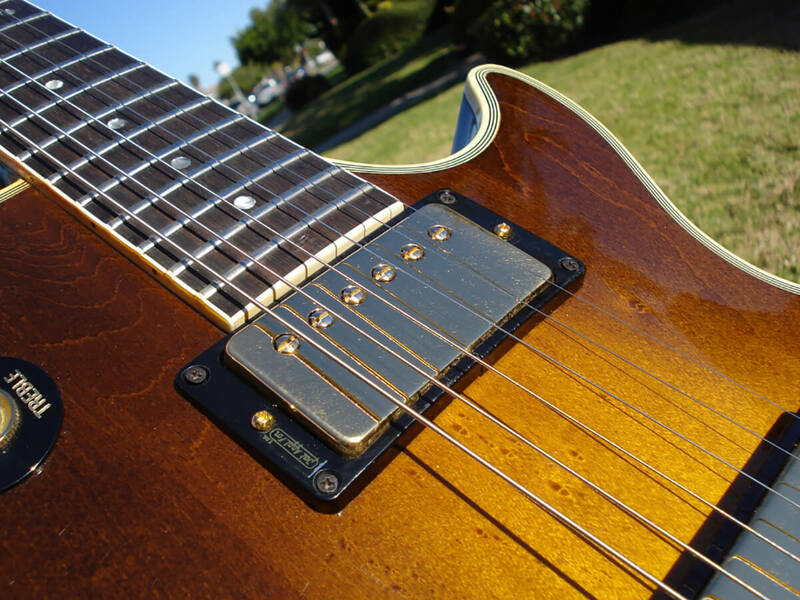 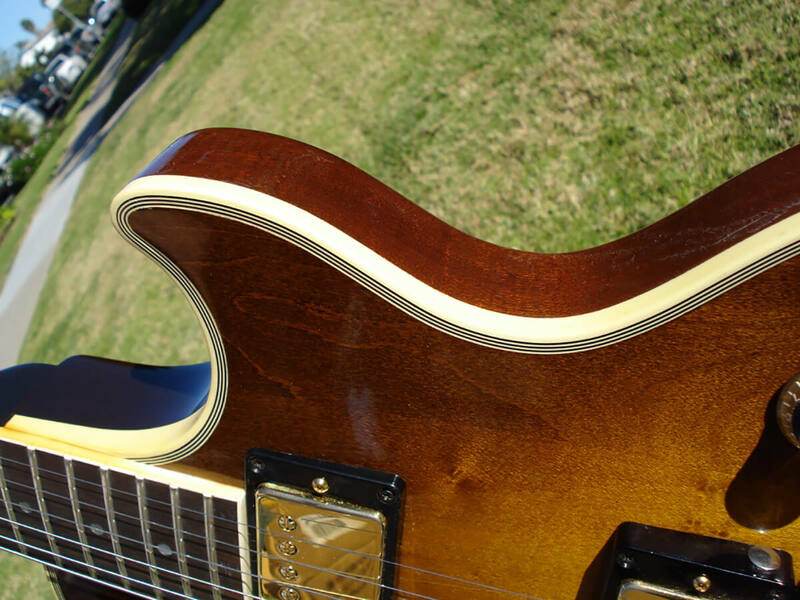 Kalamazoo made Gibson Les Pauls have been called the 'Holy Grail' of electric guitars. 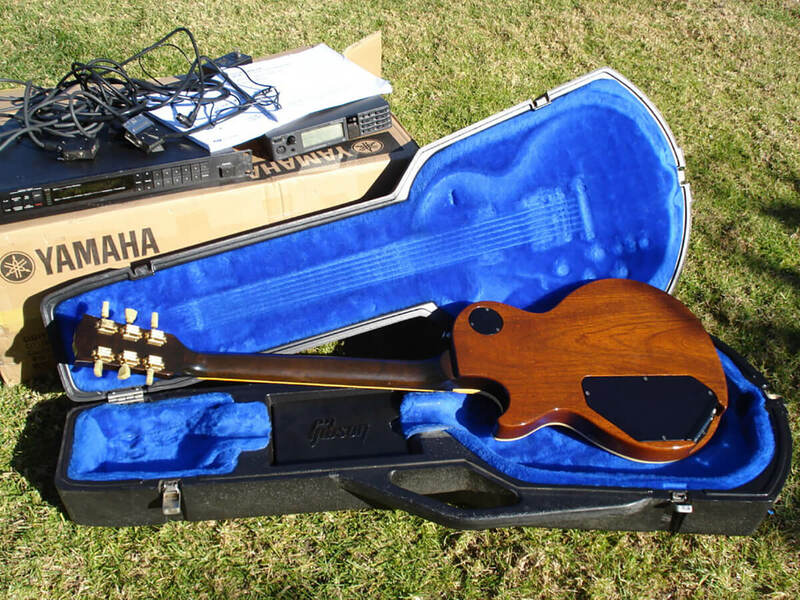 These vintage guitars combine all the craft and musicality with the feature-rich Roland LPK-1 electronics package, the same electronics found in the G-303 or G-808 guitars. 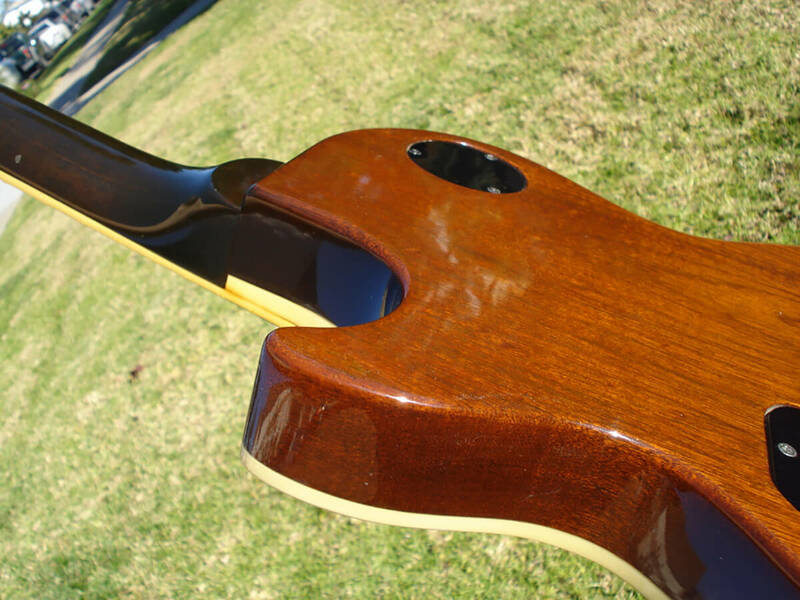 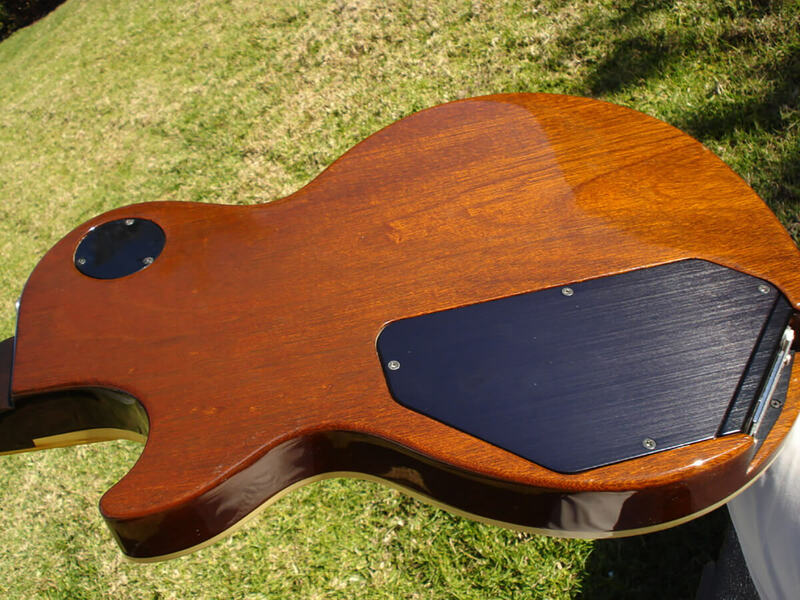 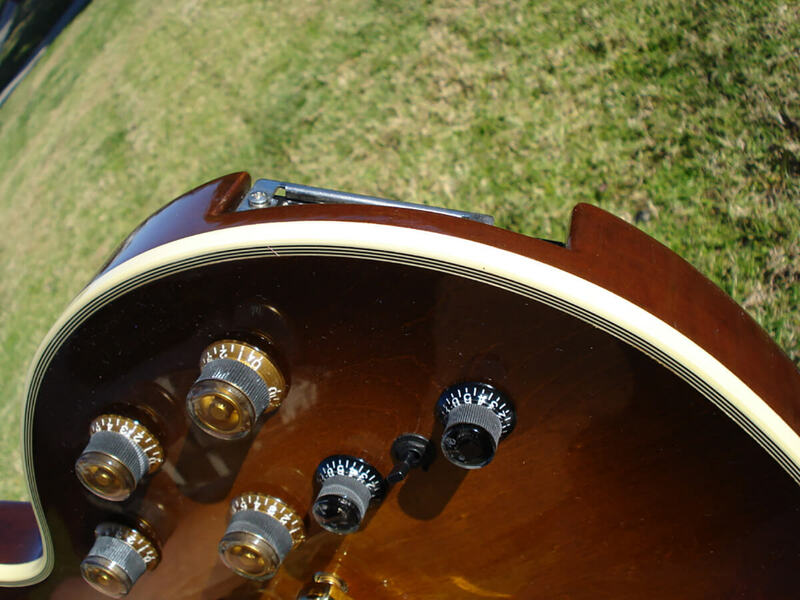 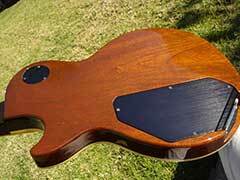 Since this page went online, I had a few owners contact me about how many of these guitars were actually made. 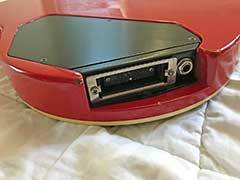 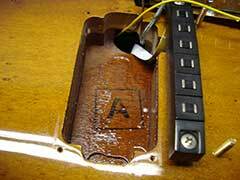 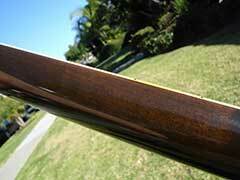 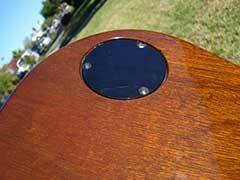 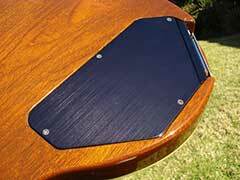 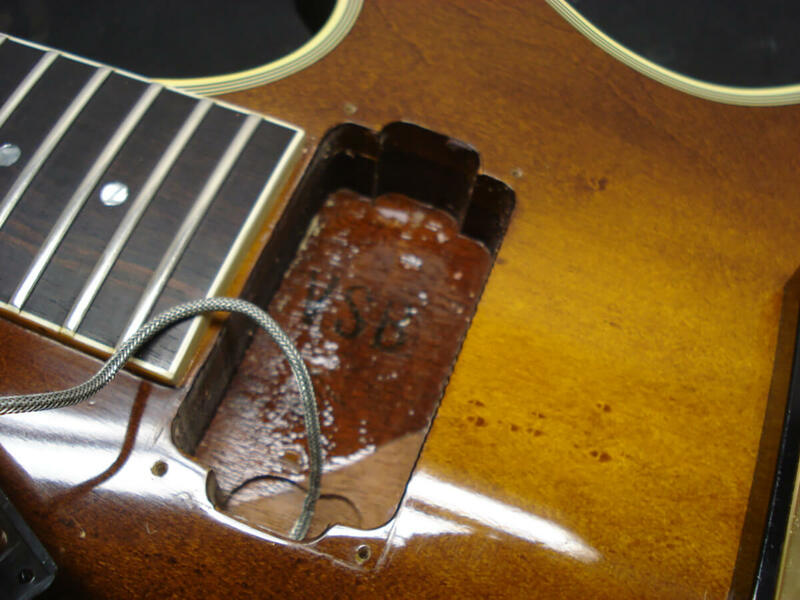 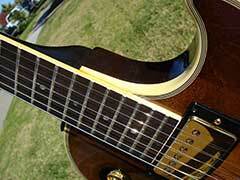 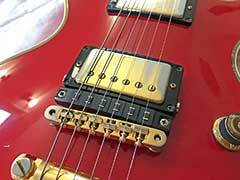 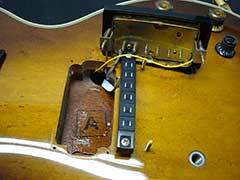 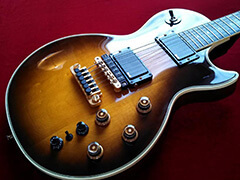 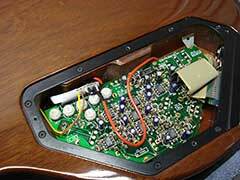 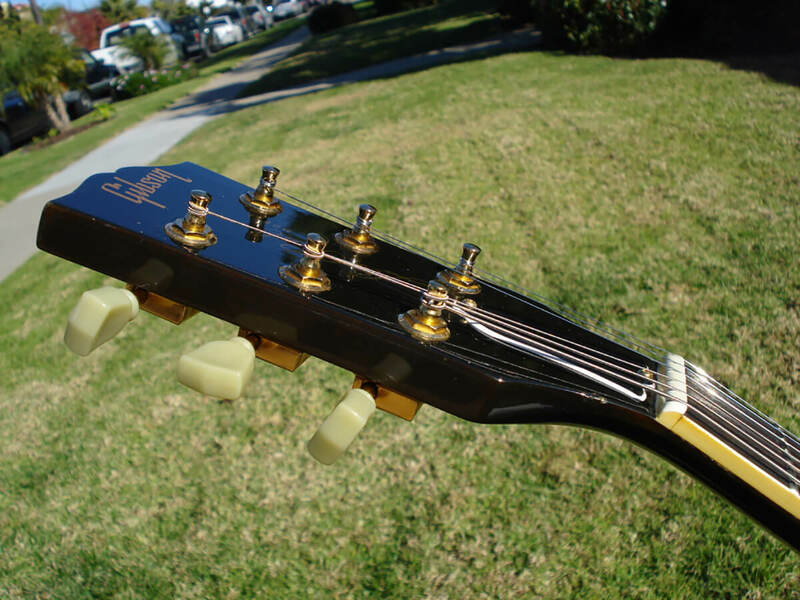 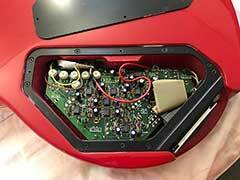 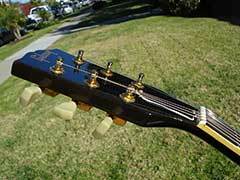 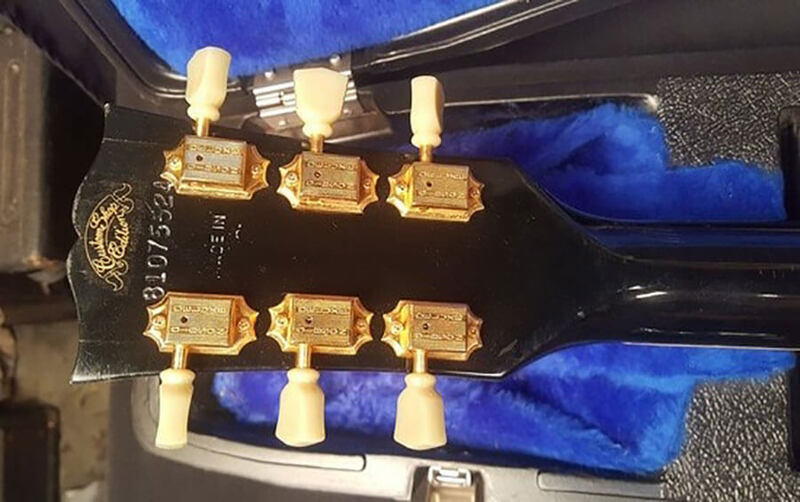 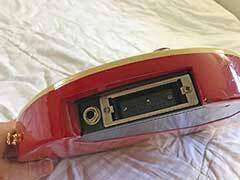 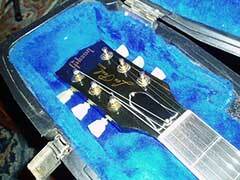 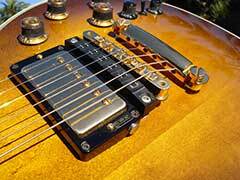 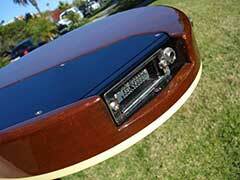 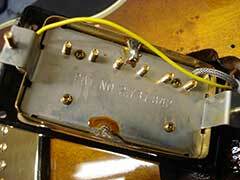 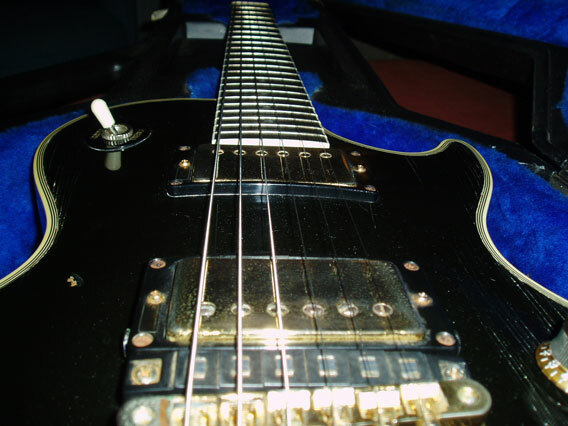 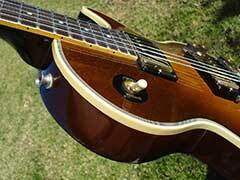 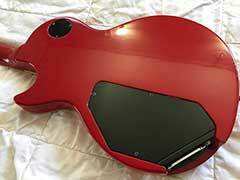 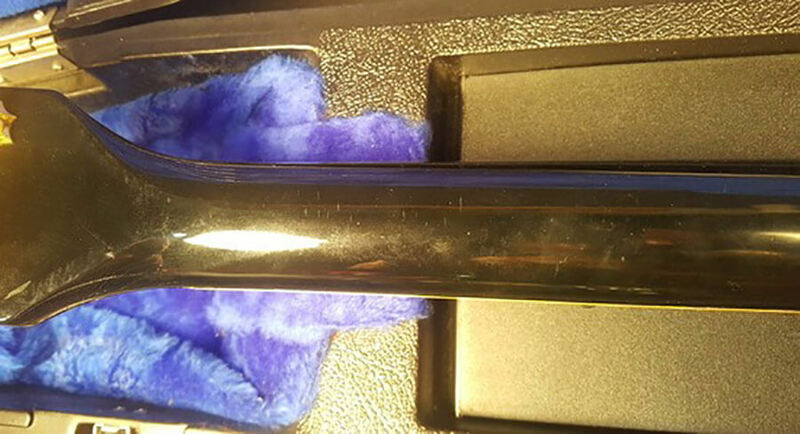 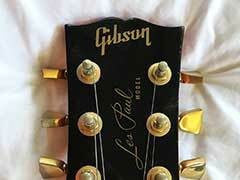 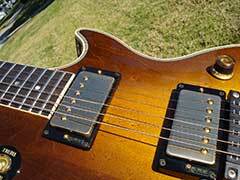 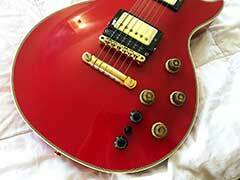 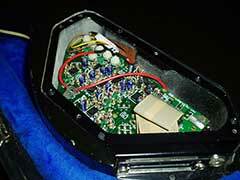 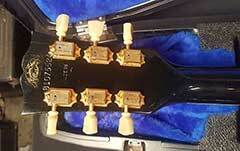 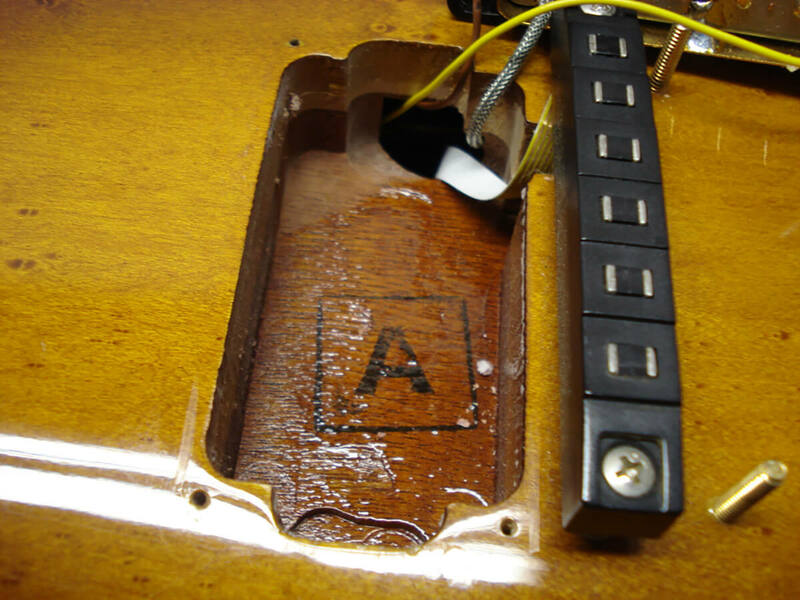 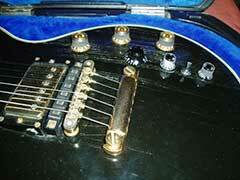 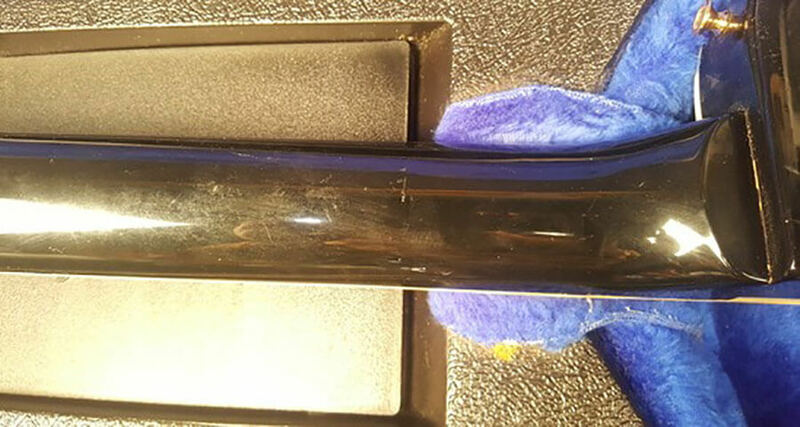 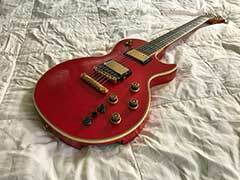 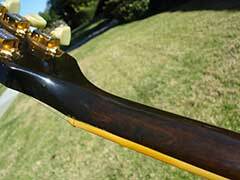 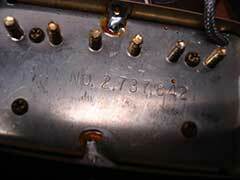 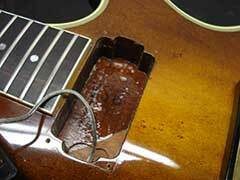 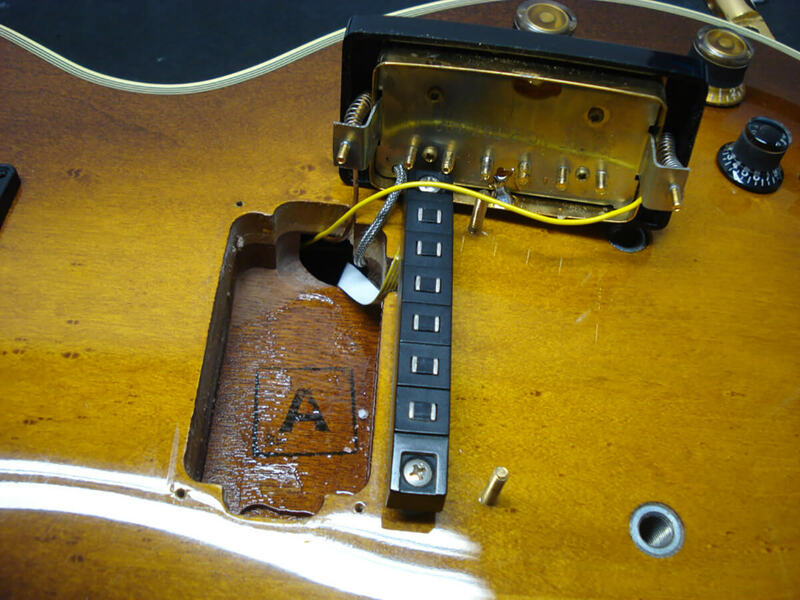 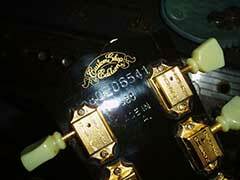 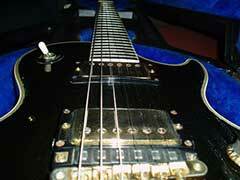 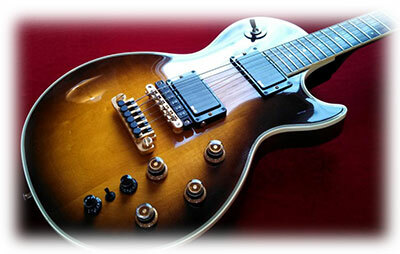 Manfred Lindner reports that a Gibson Custom Shop employee he spoke to estimated that around 7 were made. 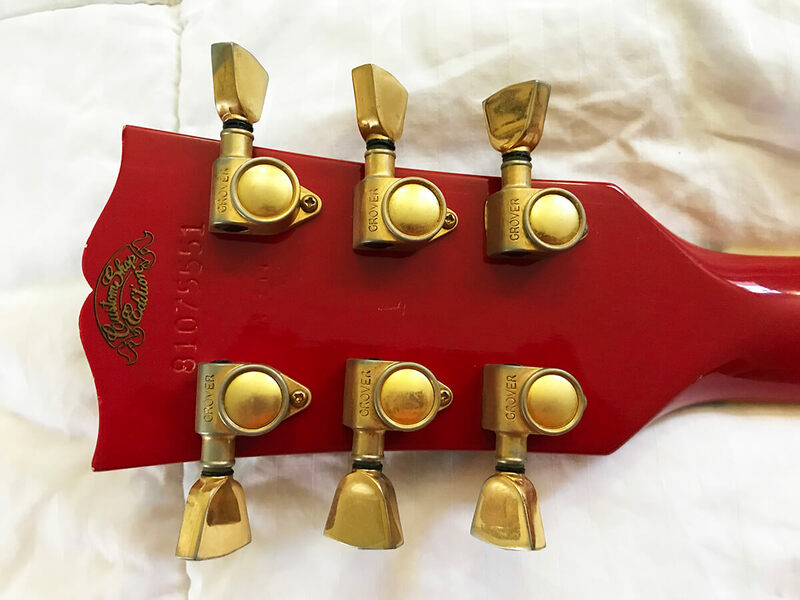 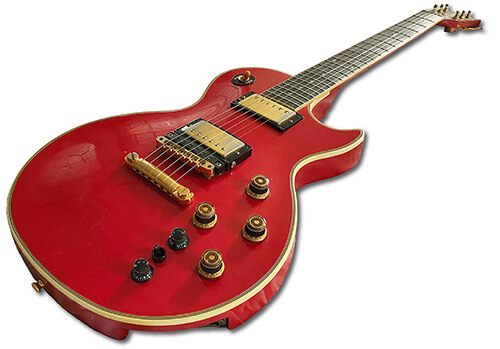 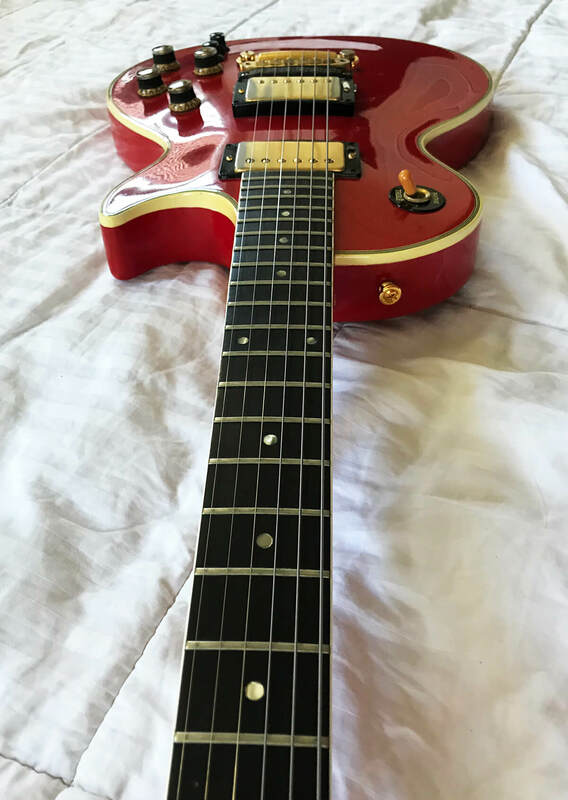 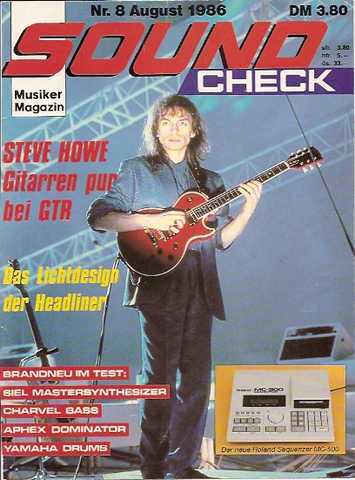 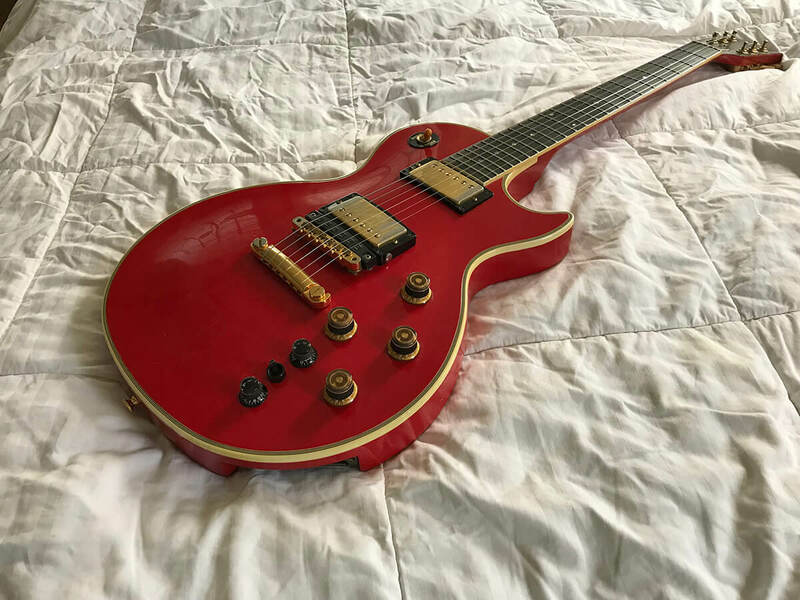 I have seen at least three red models, the one shown here, another one with a sanded down neck, and a third owned by Steve Howe of Yes, all with different serial numbers. 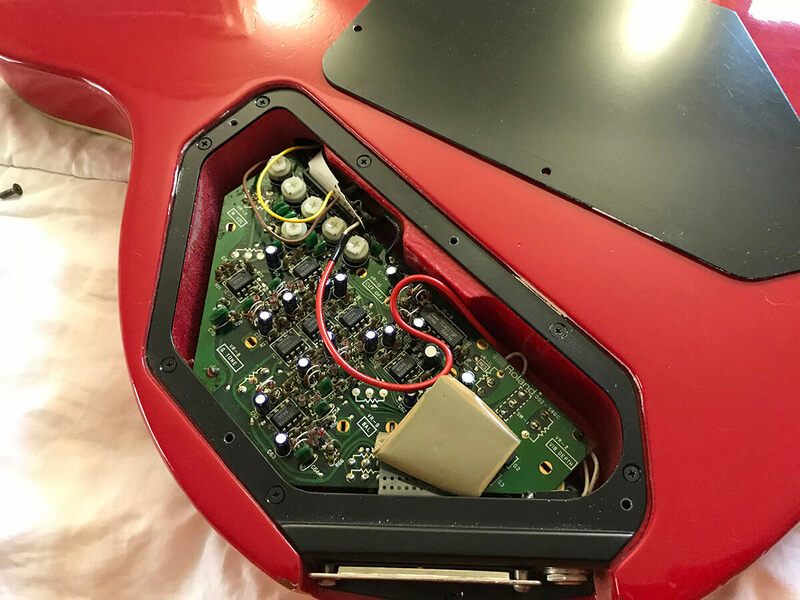 And at least 4 black models, two shown here, plus the Bob Welch guitar (with trem), and a fourth guitar located by Eric Fisher missing the internal electronics. 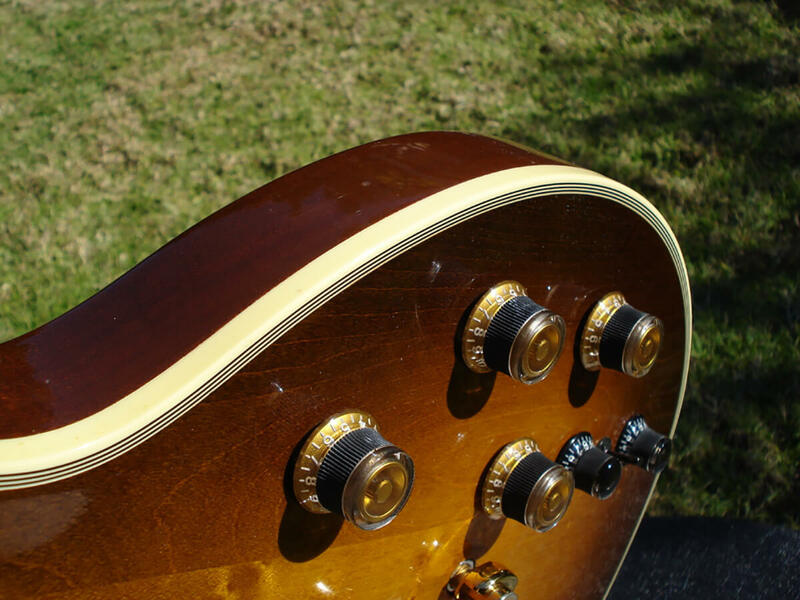 And finally the sunburst models includes Julien's Auctions, one owned by Manfred Lindner, one with a pickguard, and 'darksould2014' sunburst guitar, bringing the known total to 11. 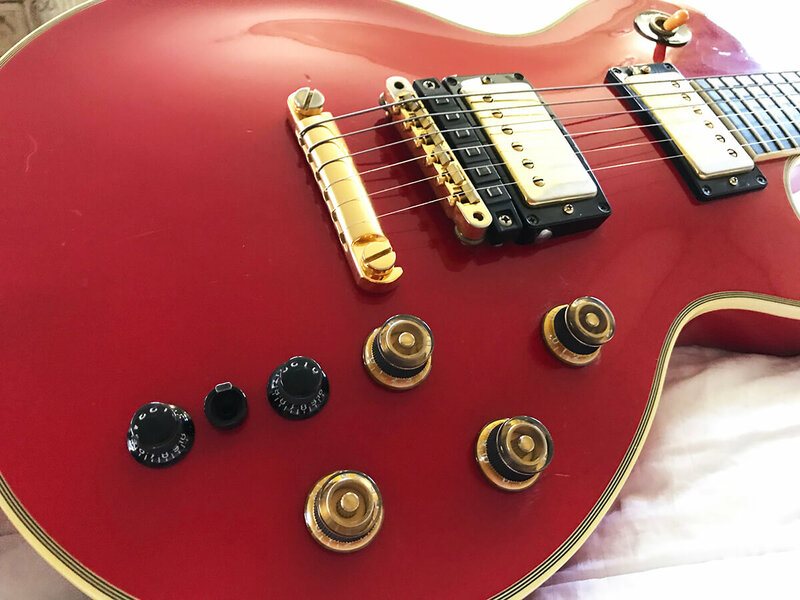 Every one of these guitars is a stunner, combining the timeless grace of the single cut Les Paul with vintage analog electronics ready for a Roland GR-100, GR-300, GR-700 or GM-70. 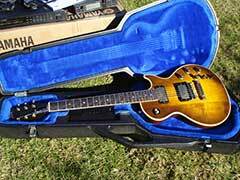 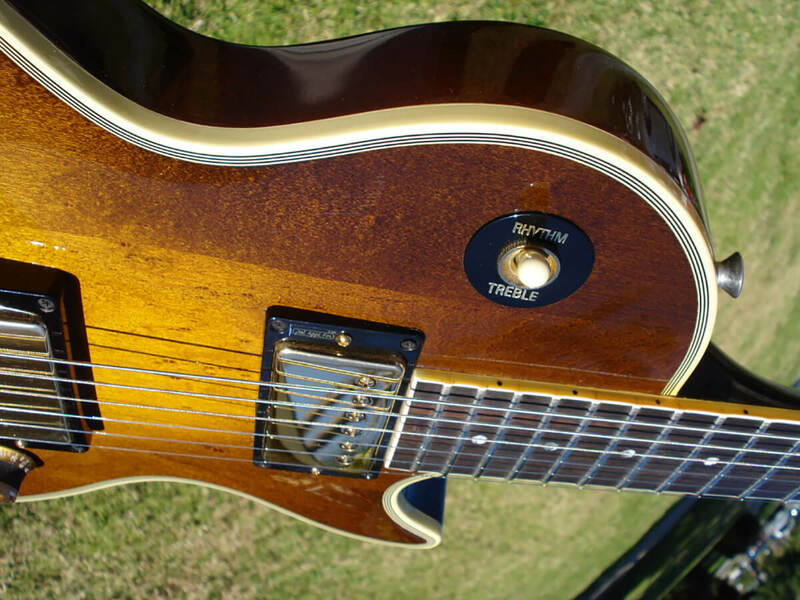 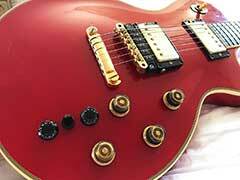 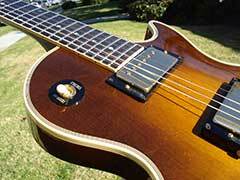 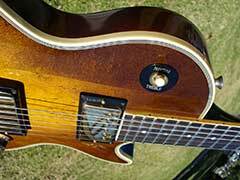 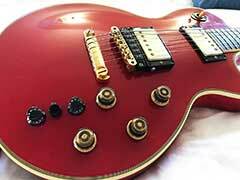 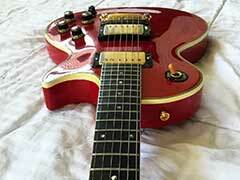 If you love Les Pauls, you will love these guitars. 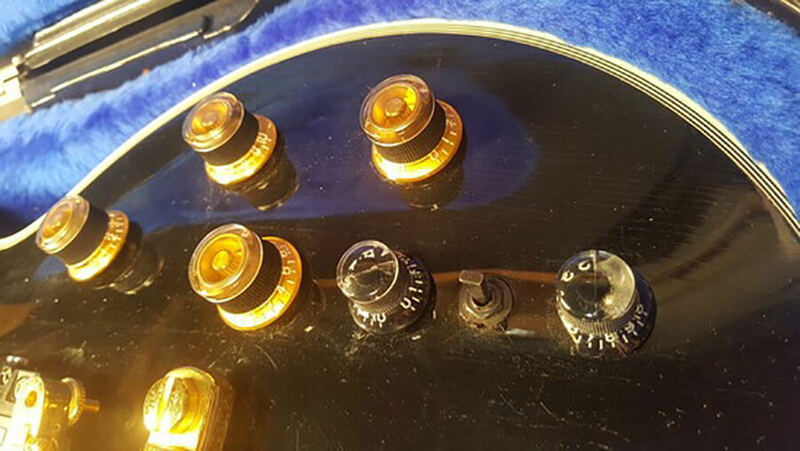 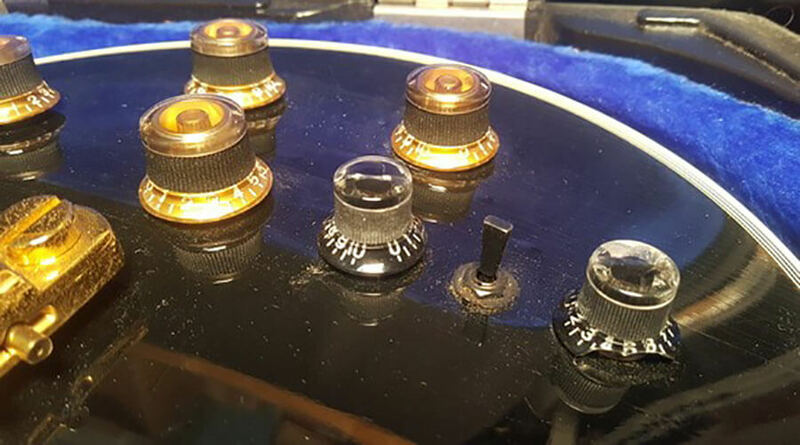 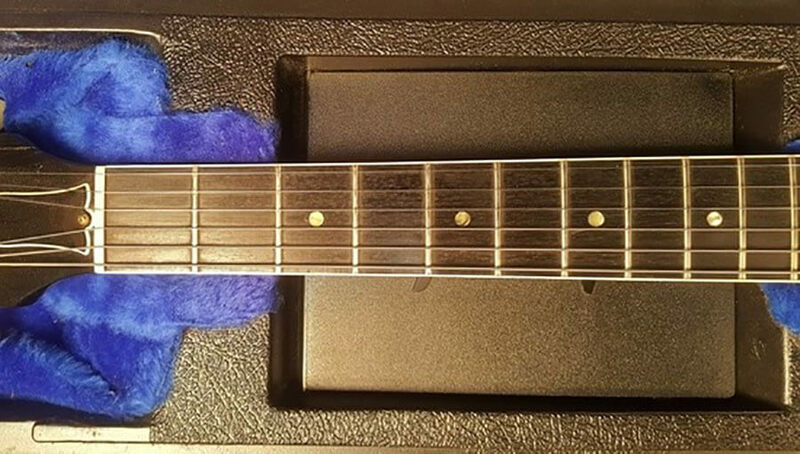 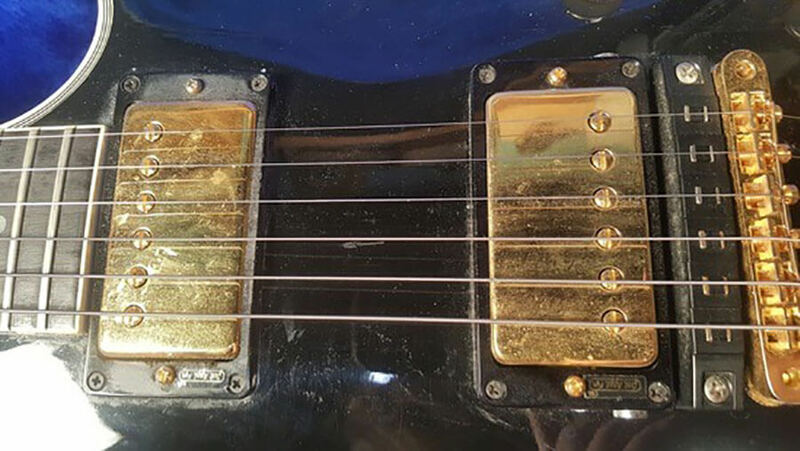 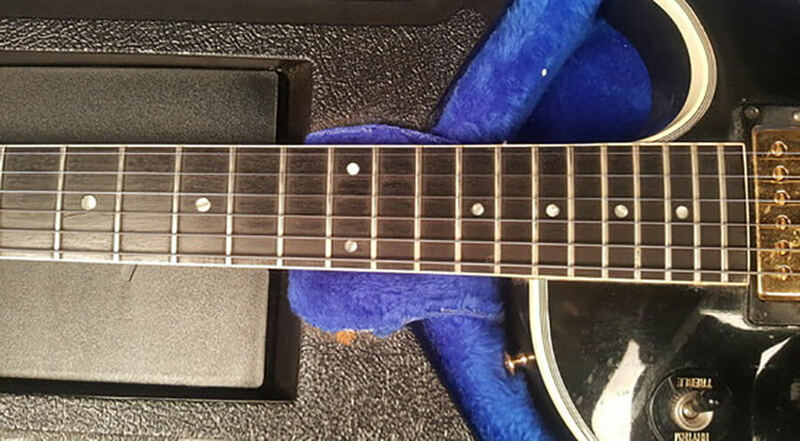 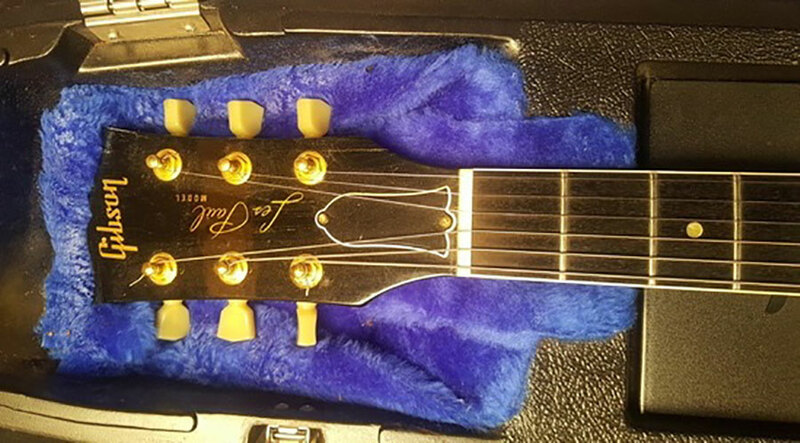 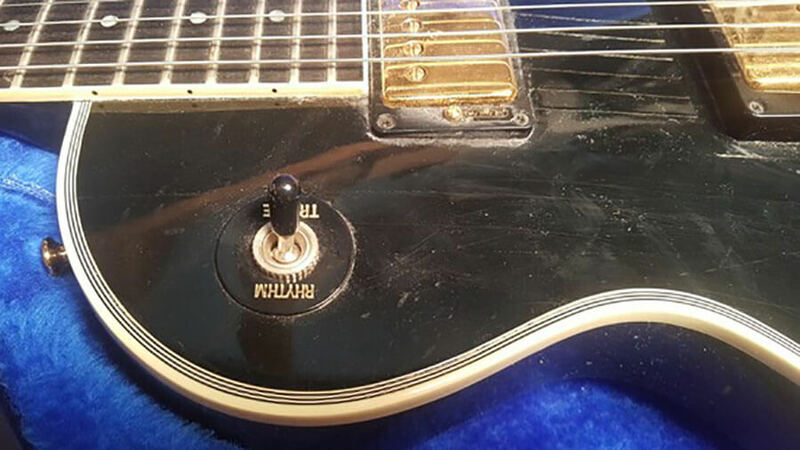 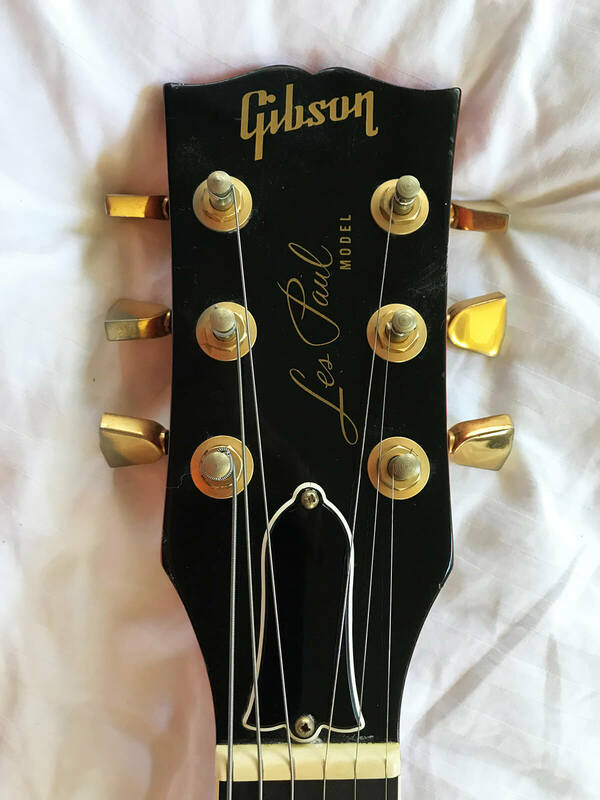 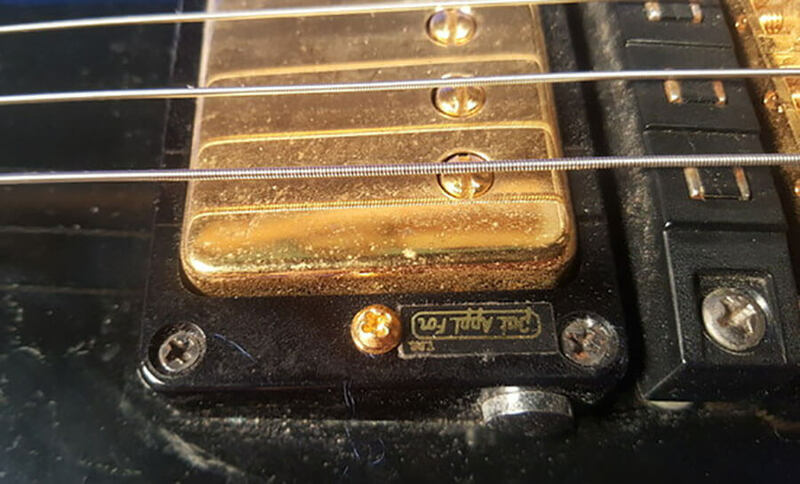 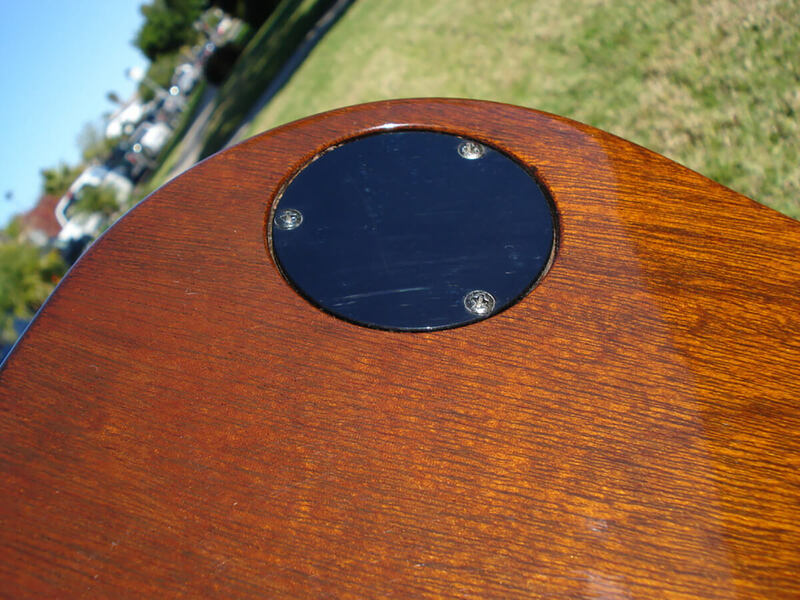 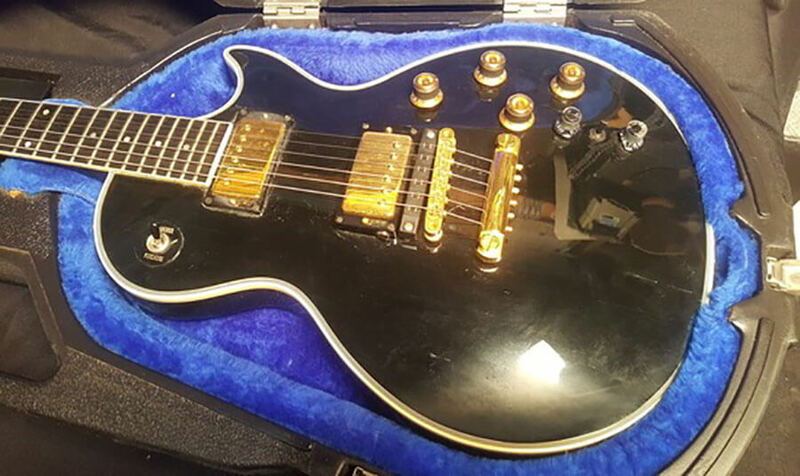 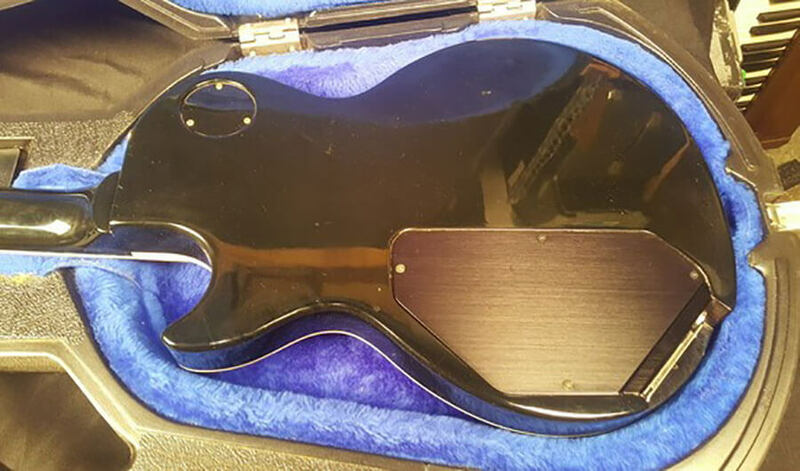 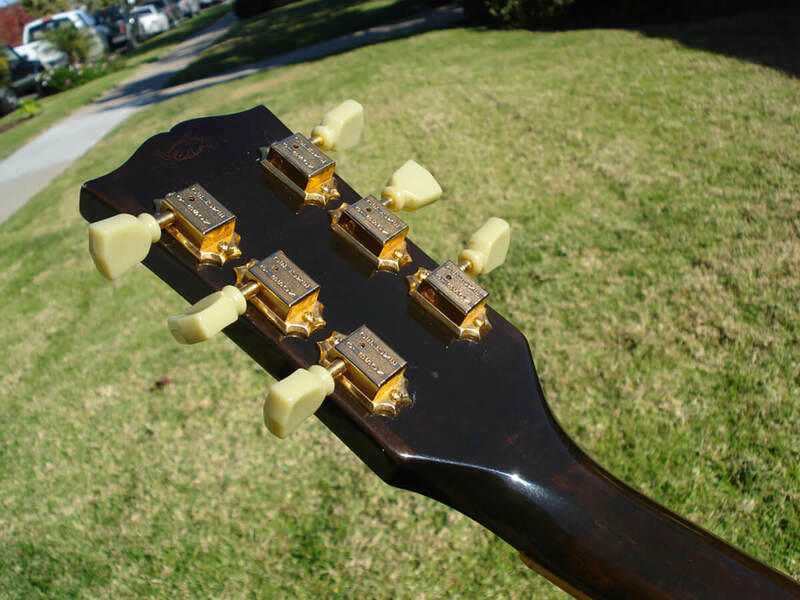 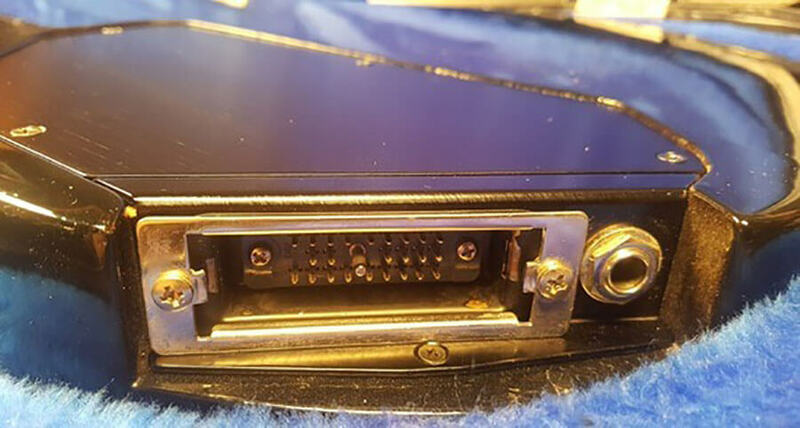 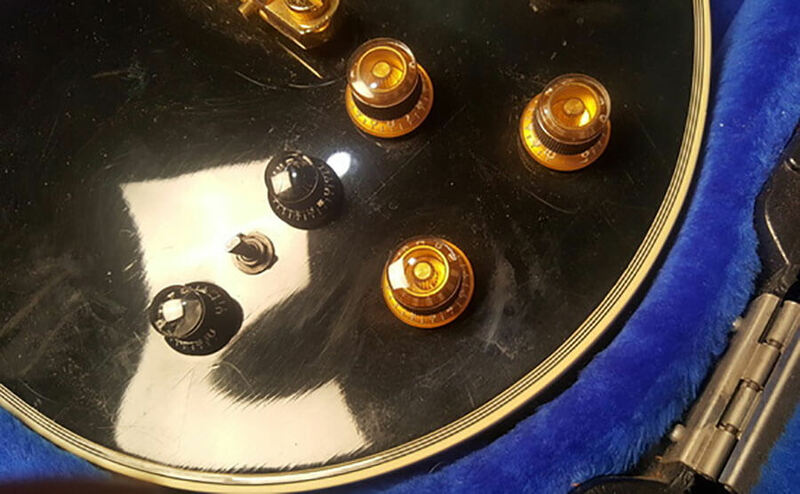 A decade ago you could find one on ebay for $600, lately they are trading in the $2500 price range, which is to be expected for a mint, custom-shop Les Paul. Thanks to Eric Fischer for kindly providing the photos of his red Les Paul, which really inspired putting the page together.